Doctors warn the NHS is fuelling an addiction crisis because of an increase in the prescribing of powerful painkillers. Nearly 24 million opioids, such as morphine, were prescribed in 2017 - equivalent to 2,700 packs an hour. A drugs counsellor and former user told the BBC the NHS was "creating drug addicts". The Royal College of GPs said doctors would not prescribe opioid painkillers as a "quick fix". Opioids such as morphine, tramadol and fentanyl are super-strength painkillers, which can be highly addictive and can kill if misused. More than two million working age people in England are estimated to have taken a prescription painkiller that was not prescribed for them in 2016-17. GPs in England prescribed 23.8 million opioid-based painkillers in 2017, the equivalent of 2,700 items every hour. This was 10 million more prescriptions than in 2007. The prescribing rate of opioid painkillers in parts of northern England is four times higher than in London. The latest figures show the number of people dying from opioid-related drug misuse has reached a record high in England and Wales. About 3,700 people died in 2016 because of drug misuse. More than 2,000 of these deaths involved an opioid, according to the Office for National Statistics (ONS). However these figures also included deaths from heroin, which is made from morphine. Abuse of opioids can start at an early age. "I got my first taste of prescription painkillers when I was 14," said Nicki Hari. "After having my tonsils out I remember thinking opioid based painkillers are great. They give you a floaty feeling, like you're on pink fluffy cloud." Ms Hari, from Borehamwood in Hertfordshire, said a 25-year addiction saw her "manipulate" doctors into prescribing her painkillers and various types of surgery she said she did not need. "I must have had over 10 operations on different parts of my body just so I could get more painkillers," she said. Ms Hari now works for UK Addiction Treatment, which runs a network of recovery centres. "Most doctors will give you tablets like Tramadol without asking too many questions," she said. "GPs are just feeding people with pills, and the result is that the NHS is creating drug addicts." 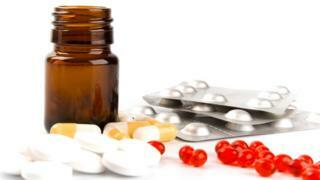 Analysis of the England and Wales crime survey by the BBC England data unit suggests about 2.3 million people aged 16 to 59 in England took a prescription painkiller that had not been prescribed for them in 2016-17. Doctors and addiction experts have reported seeing a rise in the number patients seeking help for opioid prescription addictions. "I'd say in the last five years the number of patients I'm treating has doubled," said Professor Jonathan Chick from Castle Craig Hospital, a rehabilitation clinic in Peeblesshire, Scotland that treats people from across the UK. "There is definitely a link between rising numbers of prescriptions and an increase in the number of opioid addicts and related deaths." A study by the Public Health Research Consortium, published in 2017 found the proportion of patients being prescribed opioid painkillers by their GP had doubled in 15 years. Data held by NHS Digital for 2017 shows 23.8 million opioid painkillers were prescribed to patients across the country. Prescription rates for opioid drugs in the North East and Cumbria were four times higher than in London. It is not known how many prescriptions there were per individual patient. Dr Luke Mordecai, from University College London Hospitals, said communities that are poor or have a large elderly population often have higher prescribing rates. "We also have to remember that GPs are often under pressure and patients demand they get given these strong painkillers," he added. In January the government ordered Public Health England to conduct a review of prescribing levels. The Royal College of GPs said doctors would not prescribe opioid painkillers irresponsibly. "GPs take prescribing any medication incredibly seriously and will never prescribe opioids as a 'quick fix'," said chairwoman Professor Helen Stokes-Lampard. "GPs will continue to work closely with patients in chronic pain by inviting them for regular medication reviews, and prescribing opioids when they are deemed to be the best treatment option, at the lowest possible dose for the shortest possible time." An NHS England spokesman said: "GPs and other health professionals make decisions about what, if any, medication to prescribe based on each individual patient's specific condition and circumstances. GPs and hospitals are working to ensure every prescription is both safe and effective, and the Care Quality Commission can investigate instances where these drugs appear to be given too frequently."